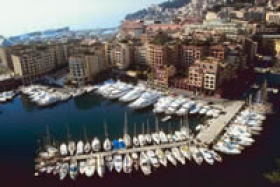 Learn hypnosis in Monaco, Malaysia, Fort Lauderdale or the UK with our all-inclusive packages. Learning hypnosis and hypnotherapy is a life enhancing experience, whether you want to learn for personal purposes or as part of a career change. Our courses are intensive, and we have found in the past that the best results can often be achieved by taking people out of their home and business environment, and offering the course in pleasant surroundings. With this in mind, we offer courses in Monaco, Malaysia, Fort Lauderdale (Florida) as well as in the UK. The course fees will include the training, videos and manuals. Accommodation and flights can be arranged and designed to your budget. In addition to groups of individuals or friends, these courses are ideal for business executives who want to completely de-stress by removing themselves from the business environment, perhaps on a beautiful private island or at a country manor. As the number of students on each is strictly limited, the courses are a unique opportunity for anyone to receive personal attention and coaching during the course.